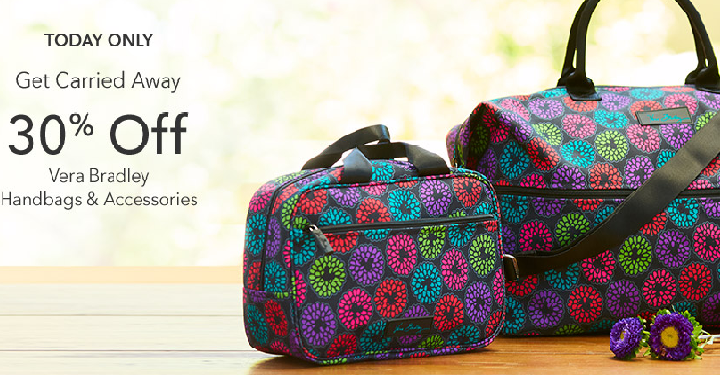 Today only, August 21st, the Disney Store takes 30% off Vera Bradley Handbags & Accessories! Just use coupon code VERA30 at checkout. It looks like prices start at only $10.50 with coupon code. There are some super cute bags that would make your trip to Disneyland or Disneyworld even more fun! Shipping is FREE when you spend $50 or more with coupon code SHIP50 at checkout.